Impossible triangle is one of my favourite optical illusions, making one's mind awake. It can become an unusual present for an outstanding person. The pattern consists of a photo, 2 graphs and a short description. 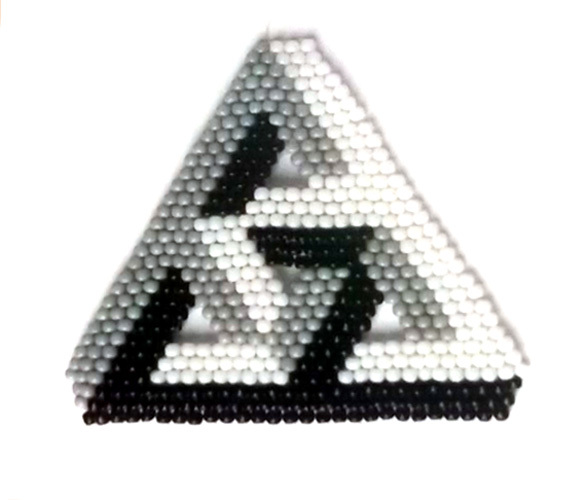 Three colours of beads are needed and also a beading needle and fishing line or fireline.